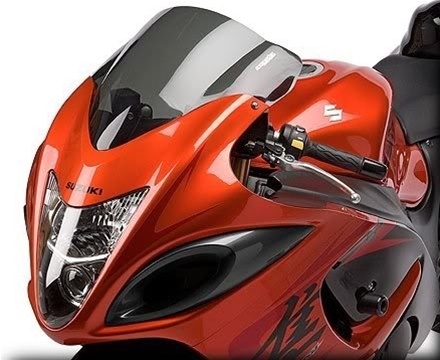 These Replaces the Entire Front Turn Signals and Side Fairing Pieces On the Nose Fairing! Amber LED Bulbs and Wiring Connectors are included! These Bulbs Replace The Running Lights In the Top LH and RH of Your Headlight. It Will Require You To Splice Wires To Install These! Very Important That You Read The Entire Listing! Understand What is Involved For Installation Before Purchasing! Hotbodies and Myself Strongly Recommend These parts to be installed by a Professional Mechanic. Installation Instructions are included and can be viewed in a large color PDF format on www.Hotbodiesracing.com I strongly recommend you view the instructions before purchasing. This is a time consuming modification that takes some patience and mechanical skills, but once finished makes for a unique front end! Once the parts have been opened we cannot accept any returns for this item and all installation issues are to be taken up with HotBodies Racing. The Pictures Do Not Represent the Color Well. These Are Made of a Smoked Transparent Material That Is Slightly Transparent! We Will Get Pictures and Update Auction Soon! • You Can Sell Your Used Parts After Insalling These Parts!